Most people get their news from online sources these days, even local news. Either directly from the sites themselves or from whatever is trending on their newsfeed. Lumi is an app aimed at giving you the news you’re interested in, not just what all your friends are reading. 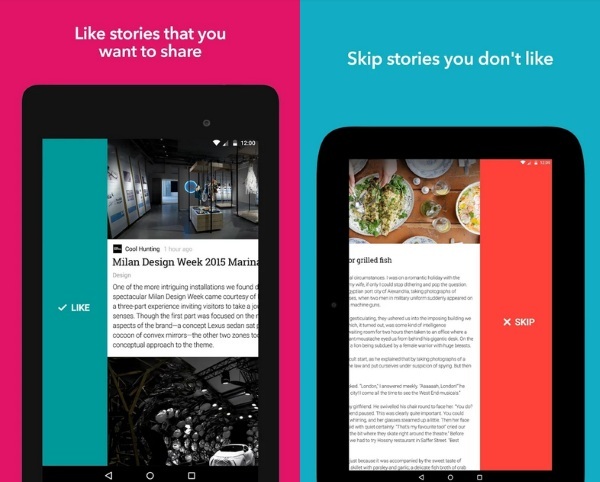 Lumi is a news app that learns from what you read. As you read, share, or completely skip stories, the app learns what issues you think are important or interesting and gives you stories focused on them. You can also find out what else people in your network are reading. This is actually a nice touch because the problem with focused news is that it creates a vacuum. With the ability to see what your friends are reading, you can still broaden your horizons, without being overwhelmed. The app is fairly easy to use with no ads which is a nice touch. There is also a browser based version that analyzes what you look at on the net to compile your interests. Don’t worry, they don’t share the info. You can download the app on Google Play or check out the browser version on the website. Both are free.